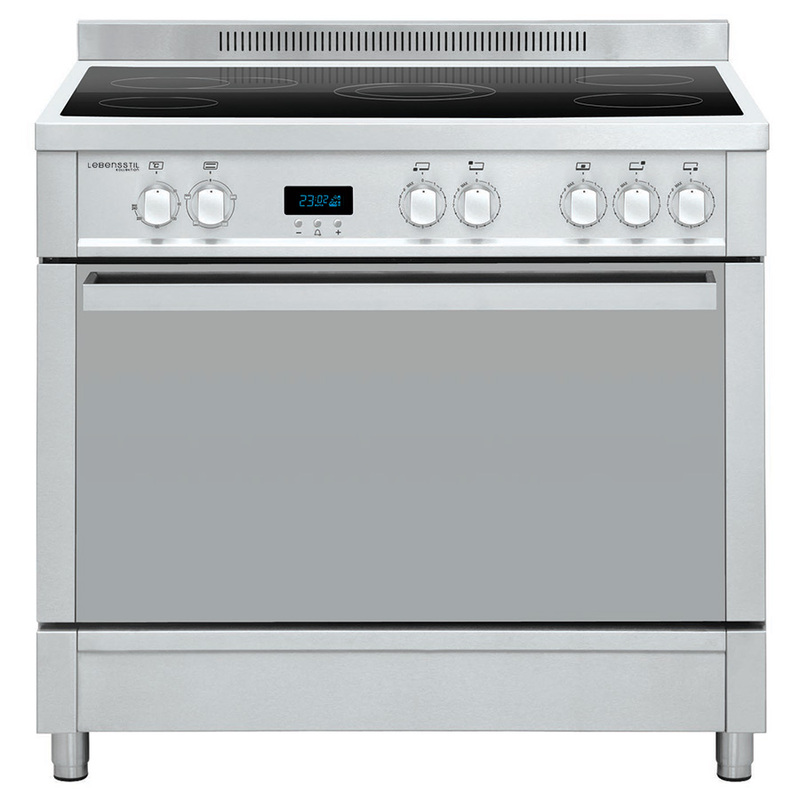 This Europe made range cooker comes with 5 gas burners that enables the connoisseur cooks more than one dishes or having the main dish on the wok burner while the sauces and soup boiling on the other small and medium size burners. 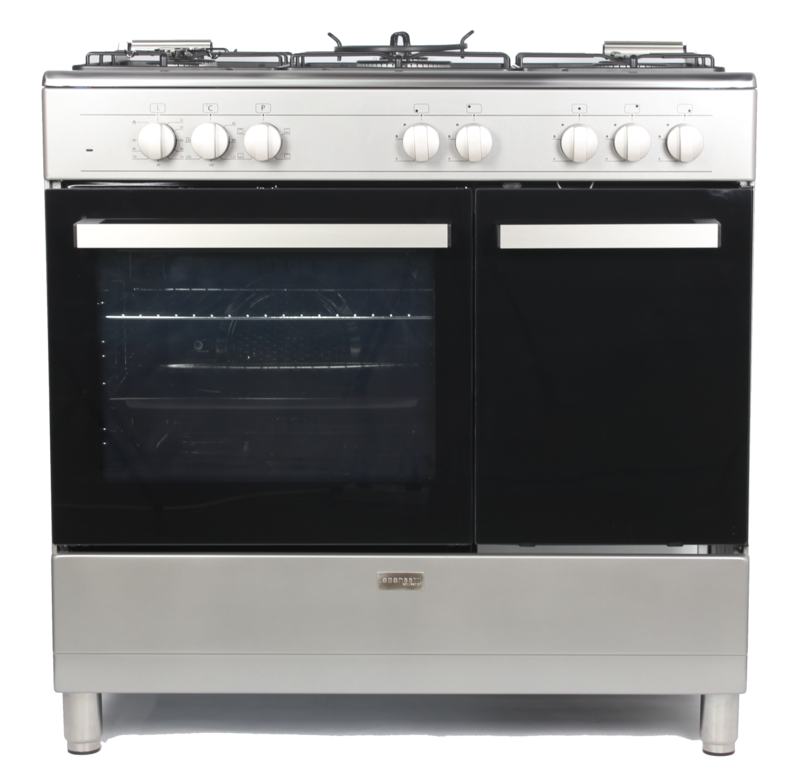 The 110 Liters gigantic electric oven will provide enough capacity when the batch baking is required in the kitchen. High quality cast Iron grid that allows effortless maneuverability while cooking. Italian-made SABAF burners with flame failure safety device. 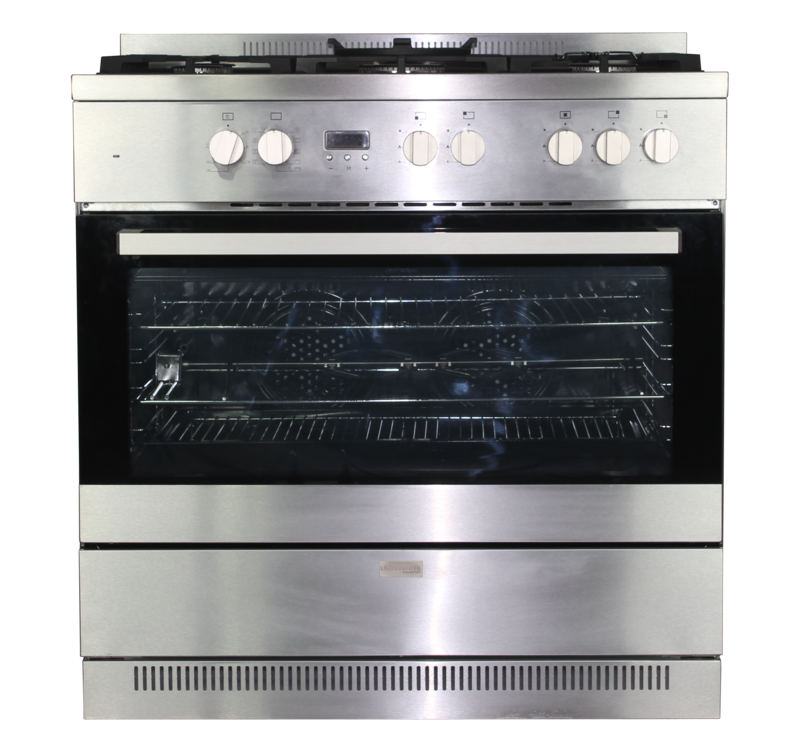 Foldable transparent glass lid acts as splashback during cooking and prevent physical contact to the hot burners after cooking. Auto Clean System: Side Catalytic Panels. 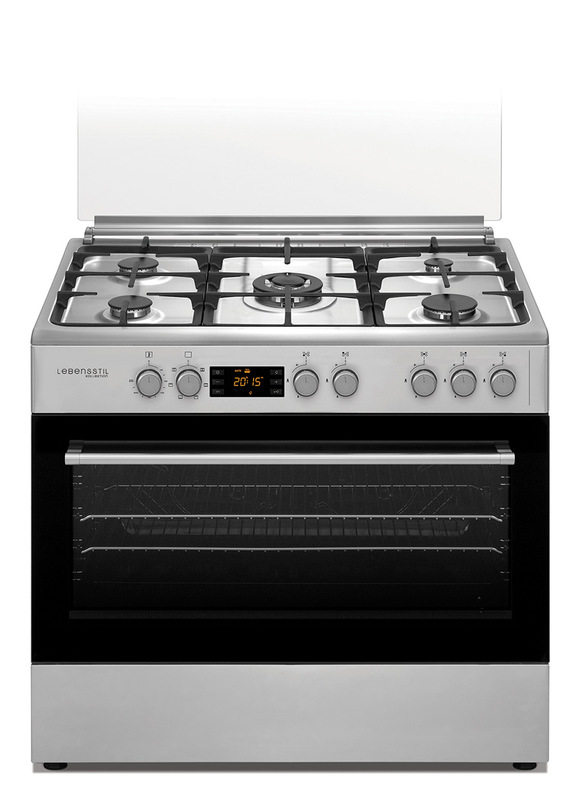 Double-Turbo Fan: Distribute heat evenly inside the oven to reduce the frequency of switch pan’s position.